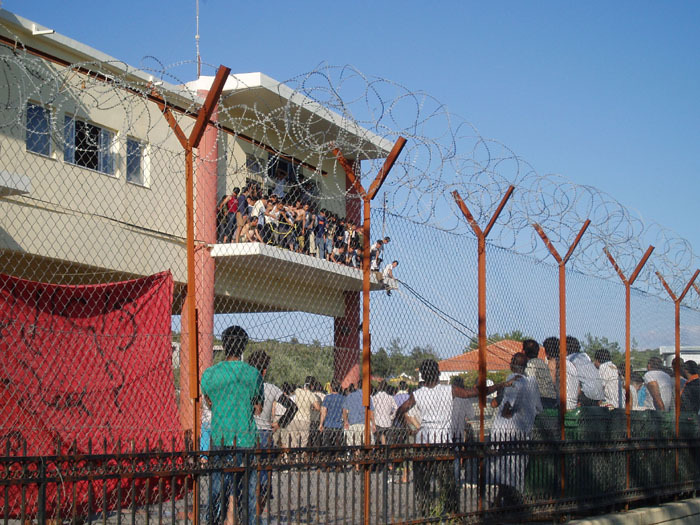 Update (7:01 CEST): The prefect (governor of the island) has been at Pagani and promised that ALL imprisoned refugees will receive the white paper in the course of the next days. The migrants have returned to their cells, except the minors, who are still in the yard since they don’t believe the prefect. The promise/statement of the prefect was filmed and will soon be published. The prefect is inside Pagani inspecting the premises. 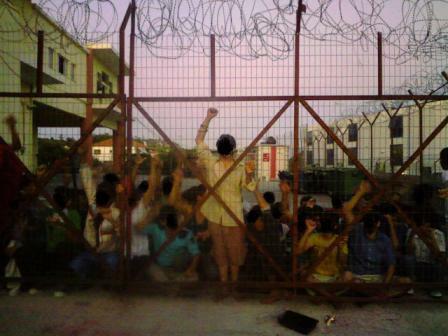 Update (7:30 CEST): A new photo of the minors who refuse to go back into their cell. athens.indmedia also has another article which gives a more detailed timeline of what happened. 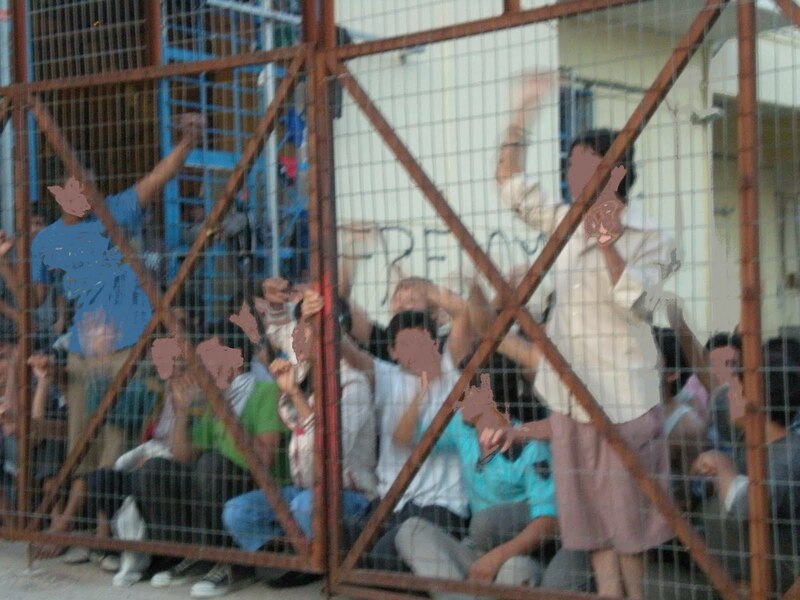 The refugees broke the doors of three cells [ground floor] and the metal doors of the second first floor and went out in the yard regainig their freedom in the air that was denied to them so long. They burned some matrasses and clothes and screamed freedom for around 5 hours. They did not want to escape they said, if they wanted they could have done it, they wanted to get free and become the paper to be able to continue their journey. During the revolt a bus arrived with 40 new refugees. They stayed for hours in the bus having a first impression of what expects them. Their transport was also done by two frontex men who now do not have a boat but control papers in the harbour. The minors who refused to enter got the promise from the prefect that they will be left free up to friday and get tickets for the boat. They were not willing to believe the promises they had already heard before. 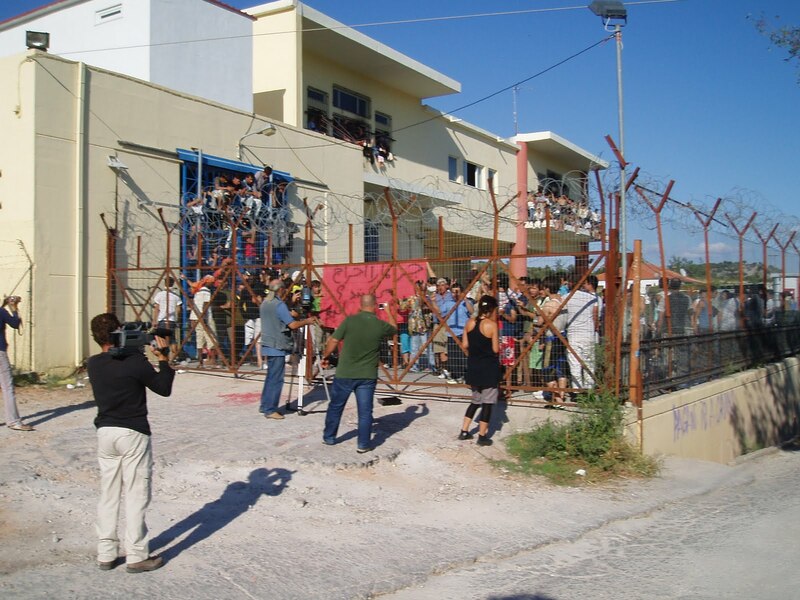 The prefect promised also to reopen the camp of PIKPA near the airport that was opened temporarely during the pressure of the noborder camp, a WELCOME center without police and with open doors. It will be specially for families that can go directly there and get registered and then leave the island without going to Pagani prison. In winter in Pikpa 40 people can stay. 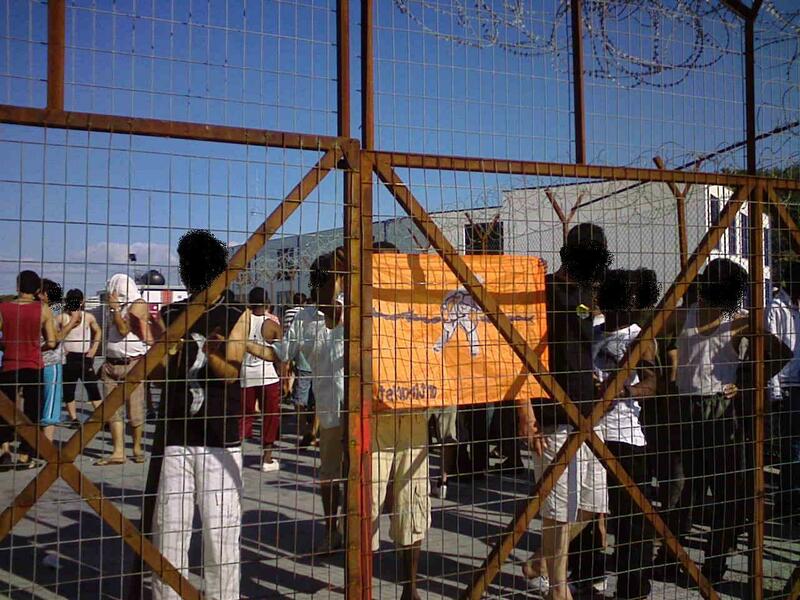 The refugees decided to return to the cells and immediately workers started reparing the broken doors of the prison. But the refugees said if the promises are not kept they will start again a revolt. 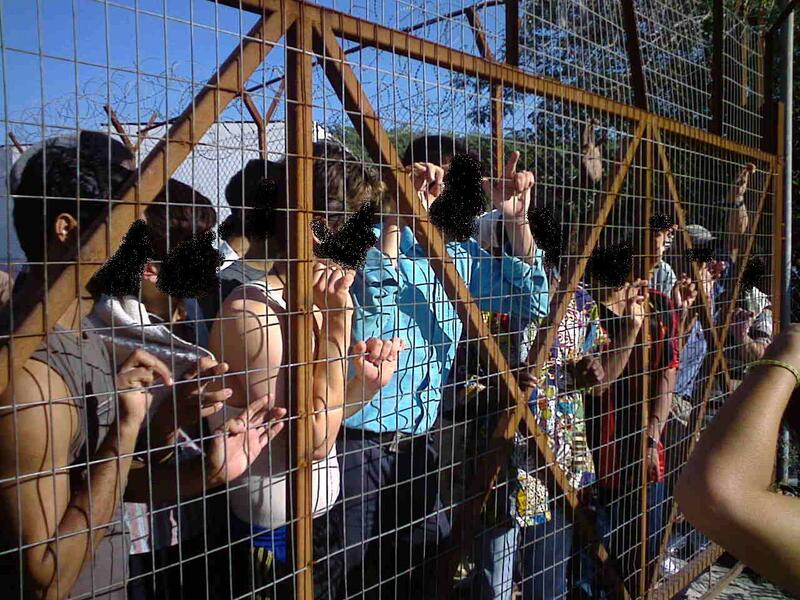 Update (23.9.2009 10:59 CEST): The minors imprisoned in Pagani have once more left their cell and are outside in the yard, increasing the pressure. Set them free. Update (23.9.2009 17:20 CEST): Actually just two more pictures. We are still working on a video. From the northern Europe, the town of Hamburg, we send you our deep solidarity in your fight for freedom. We fight with you! Azadi! Freedom of Movement is everybody’s right!